Information about Celtic Attic LLC and the Organizations we belong to and support. To see a list of the Shows & Events we will be attending or stores where you can buy our products, please CLICK HERE. We are just getting back into exhibiting at events. If you want to visit us please check dates and times. If you want us at an event, just send us the info and we will check it out to see if it fits into our schedule. 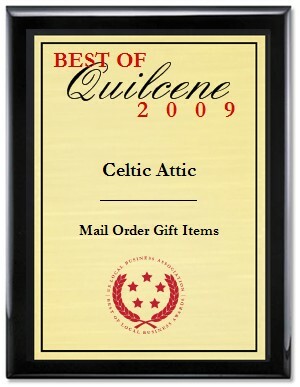 WASHINGTON D.C., June 8, 2009 -- Celtic Attic has been selected for the 2009 Best of Quilcene Award in the Mail Order Gift Items category by the U.S. Commerce Association (USCA). A group of Good witches, powers and numbers unknown. The Demon Sykes tried to annihilate all its members in Black as Cole. 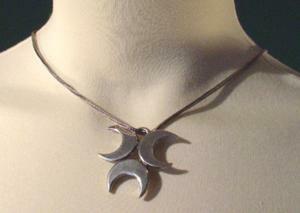 Their symbol, a triple crescent, is related to the Charmed Ones' symbol, the triquetra.